A collection of some of the classic myths from the Indian subcontinent. Philosophy, ritual, and mythology are the three pillars of all ancient religions. On the surface these myths may appear to be merely colorful and simply some good stories.Yet, these are not merely imaginations of a quixotic brain, but are the vehicles of truths and ideas springing from the depths of the human soul. This fascinating book includes selections from the two great epics of India: the Ramayana and the Mahabharata. In addition to this, it also contains classic myths of gods, goddesses, human and superhuman characters from the Indian Puranas and other works. Also included are stories from the Jataka depicting the different births of Buddha prior to his enlightenment retold in a manner guaranteed to enchant young and old alike. Includes thirty-two illustrations (black and white) by Indian artists under the supervision of Abanindro Nath Tagore. Click here for the hardcover edition with the illustrations in color. 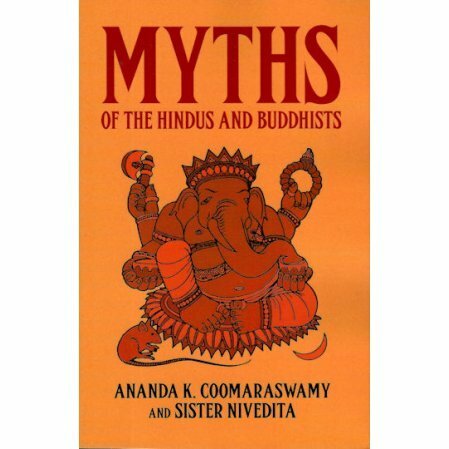 Ananda K. Coomaraswamy is also the author of The Dance of Siva.